Senior portraits are hands down one of my favorite photo shoots to do. Seniors are usually excited to model and pose, they are very cooperative, and they know exactly what they want. Right? Reality struck me when my oldest son became a senior. The deadline for submitting the photo was rapidly approaching and he would consistently have (often legitimate) excuses for why we couldn't do the pictures during golden hour of the few days I had available. One Sunday afternoon (three days before the yearbook deadline, no less), we raced the sunset and arrived at the perfect time and location. Usually, the enthusiastic senior eagerly complies with my every request; tilts their head just so, smiles on cue, and of course has a great experience...but not my kid. He told me just exactly how every tilt, smile, and position made him feel and the look on his face represented his exact feelings about it all. His sister, who was with me holding my reflector and carrying my equipment, didn't help the matter by continually telling him how "cute" he looked. Though we still got some great photos, it inspired me to change the way I approach senior portraits, particularly with boys. Turns out, not all seniors are excited to model and pose…nor are they all very cooperative. 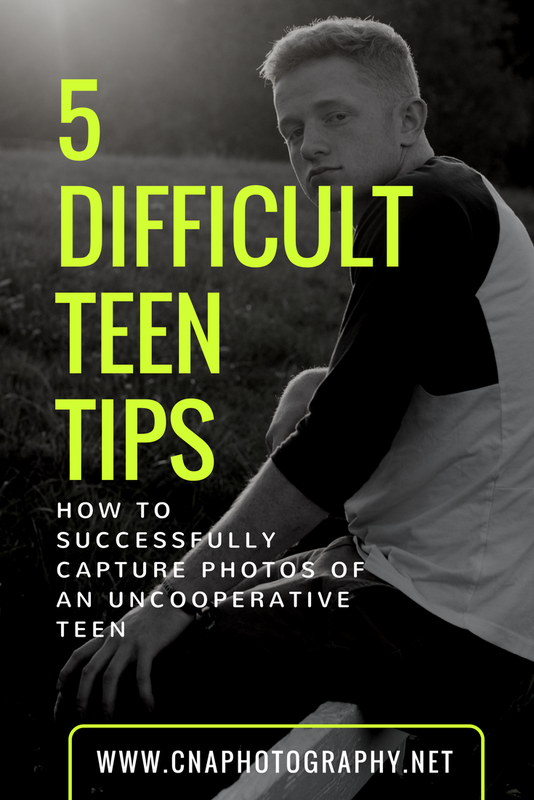 The next few posts will be on how to improve your senior photo experience as a photographer and also how to improve the experience for the less than enthusiastic senior. Tip #2: Do tell them it is okay for them to hate this. And repeat regularly that it will all be over soon (think dentist chair-side manner here). When they know you aren't the crazy photographer who expects them to love this, they relax and feel like they can be themselves. Pictures are just something that has to be done (like a root canal!). When they know we know they don't want to do this, then they don't have to SHOW you how much they don't want to do this with body language and facial expressions. Make sense? Tip #3: Do plan ahead so you can keep an impatient participant at the photo session for as short a time as possible while still getting the maximum number of fabulous pictures. The window of cooperation is possibly shorter than it is for a toddler. Tip #4: Do embrace the thoughtful face. Too many requests for smiles may result in Rage Face (see picture of my son above for reference). Encourage them to look away, or capture them in a natural facial expression so they can take a breath between each "now smile at the camera!" b/c that rapidly leads us right back to Rage Face. More tips on senior boys in my next post. Stay tuned!